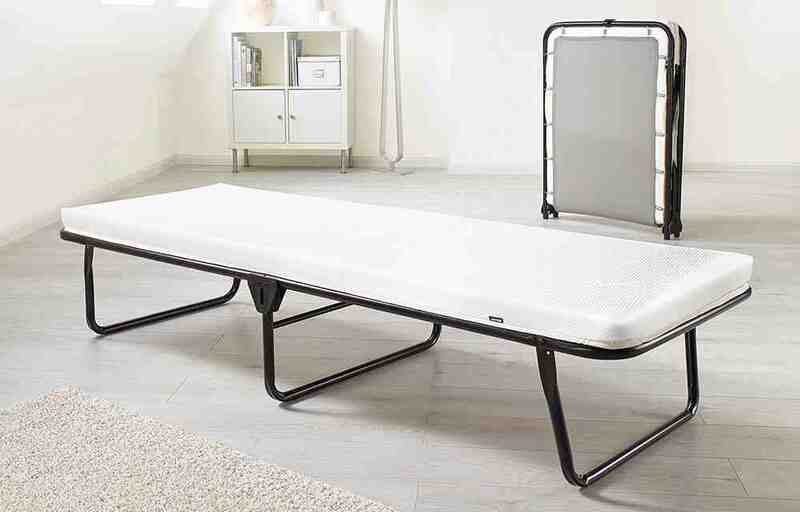 Lightweight, space-saving design and portability makes the Jay-Be® Value Folding Bed the perfect solution for homes with limited space. The compact design when folded means it can be stored just about anywhere; under a bed, in a wardrobe or even the boot of your car when visiting friends and family. Perfect for unexpected guest, stopovers or camping; simply unfold and it's ready to use in seconds. Featuring a Breathable Airflow Fibre mattress that is topped with a layer of Memory Foam for additional premium feel comfort. 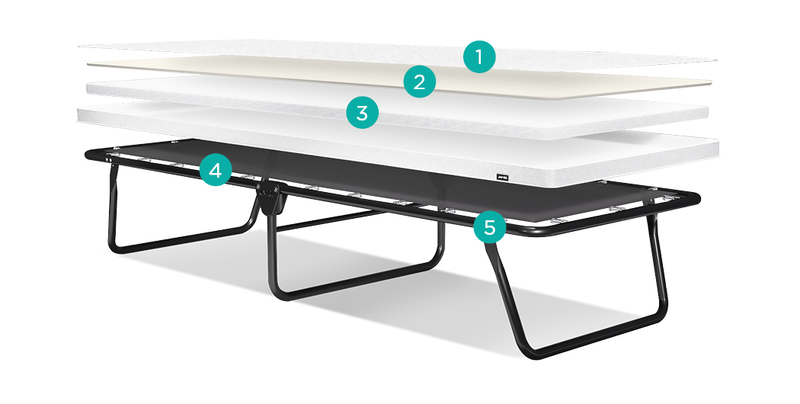 The mattress works in harmony with the J-Tex™ sprung base system to provide pressure relieving support for a cosy nights sleep. All Jay-Be® folding beds are made in the UK and come with a FREE lifetime frame guarantee for your complete quality assurance.